The remodeling process can vary immensely depending on the type of project you’re planning, but our process in carrying out the work is similar among most projects. During our initial conversation, you’ll be asked basic questions about your project such as objectives, existing conditions, timeframe and your budget. In most cases, we’ll set a time and date for an on-site consultation at your convenience. Listen to your needs and goals and then provide suggestions. Determine feasibility of the project. Discuss the project’s likely budget. Take photos of your present site. Set a time and date to revisit the home with our sub-contractors as needed. Whether or not you have already engaged in the services of an architect determines which step is followed next. In the event that the plans are already provided and approved by you, we simply proceed to estimating. Should you be in the earlier stage of knowing that something needs to be done but are not sure exactly what that is or how to go about it, we will take a different approach. Depending on the nature of the remodel and the level of complexity, we may recommend an architect or interior designer that we feel would be the most suitable for your needs. One of our greatest thrills in this industry is partnering with architects and building the unique vision they’ve drawn for our clients – whether that be from a traditional point of view, contemporary, etc. 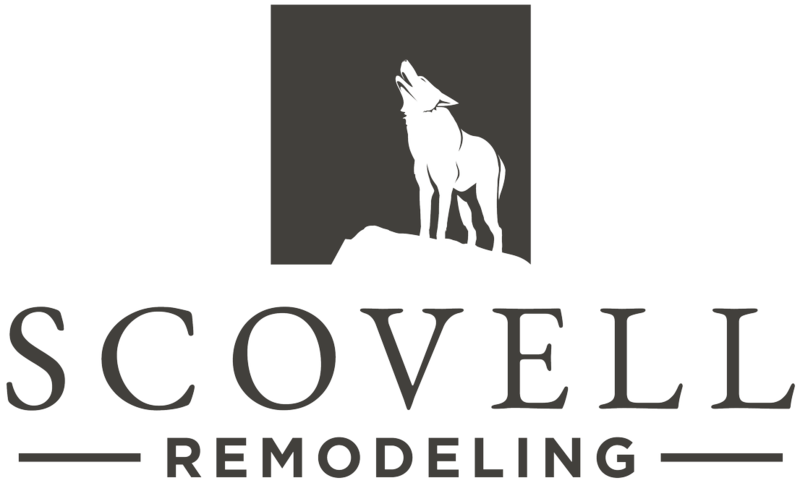 However, with a host of smaller remodeling projects not necessitating an architect and yet the client still desiring a certain level of direction aesthetically, Scovell Remodeling recently added designer Cole Teller to the team. The partnership with our clients can now include more interaction selecting countertops, paint colors, light fixtures and even upholstery for their newly remodeled space with exclusive trade discounts on many of the products. Additionally, if your remodeling project is staying within the existing footprint of your home, we can likely draw up the plans in-house using Chief Architect software. However, we still remain at the ready to collaborate with an outside designer or architect of your choice. Creating both an attractive, yet functional living space. Most importantly! — Ensuring that your new addition is consistent with your homes existing architectural style. As most of our clients comment, “It looks as if it’s always been there”. Taking the major tradesmen (plumbers, electricians, etc.) to your home to review your current mechanics and see how they conform to the new proposed project. Analyzing the rest of your remodel or new home – category by category. Discuss the allowance items provided by us for unselected items such as plumbing fixtures, lighting fixtures, carpeting, tiles, counter tops, etc. Review our written proposal which reflects our approach to your unique remodeling needs, discusses the rights of both parties, the expectations that you can count on from us and what we expect from you. Explain the timeline for materials to be ordered. Propose the “calendar of events” for the project from start to projected finish. Addressing any special concerns or considerations you may have. Review the plans and specifications of your project. Consider your work schedule and the schedules of your children. Plan for material storage and workers’ parking. Check availability of special order items. Address the permit and inspection process. Determine where we place our secure lock box that will contain a key, allowing us access to your home. After Scovell Remodeling gets a construction permit from your city, the demolition of existing spaces, when necessary, will begin. Once all demolition has been completed, the new construction will start and your vision will be within reach!